Let's talk coffee. I mean, not that I'm obsessed or anything, but I'd say that 80% of conversation between my OH and I is us basically sending coffee-related news stories or GIFs to one another, my employees know that it's less than wise to ask me about a pay-rise before I've had at least one coffee and my local Whittard's knows me by name as I stock up on beans there that often. I'm always fascinated by the great coffee debate. There seems to be a shift every week in the opinion on whether or not the brown stuff is good or evil. I choose to believe the ones which tell me things like each cup of coffee adds three minutes to your life expectancy over those which warn of health issues related to too much caffeine, if I'm honest.. 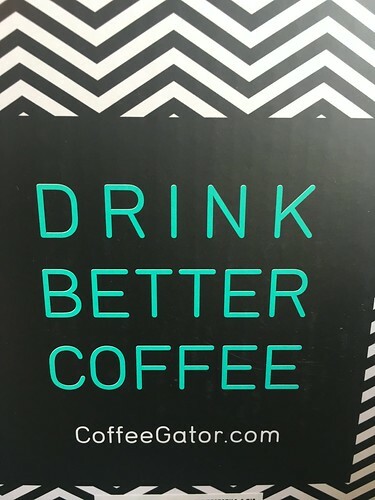 Always eager to enhance my morning coffee routine, I jumped at the chance to try out some new coffee-related gadgetry from Coffee Gator. Their Pour Over coffee range take us caffeine-fiends back to basics. What could be more simple than pouring your boiling water over your grounds and waiting for it to filter through for the perfect cup of joe? This sleek-looking design is the stainless steel Pour Over Coffee Kettle*. 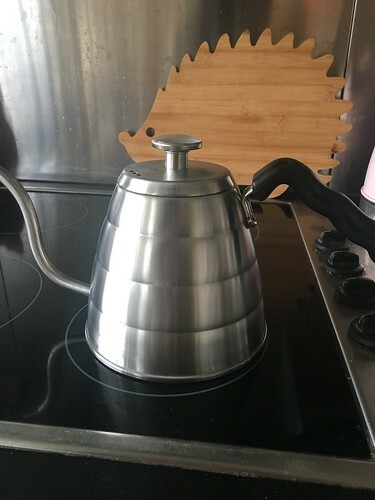 Super simple metal design with a temperature gauge on the lid in order that you can boil your water up to the perfect temperature. 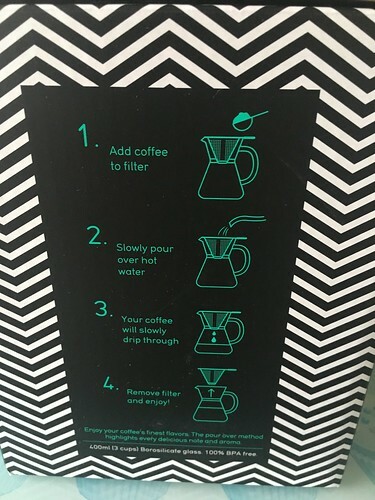 This has always been a bit of a sticking point between a friend and I, but he's adamant that you shouldn't actually boil your water to make coffee, for fear of burning the beans and altering their flavour. He assures me that the perfect temperature for the ideal cup of coffee is somewhere between 91C and 93C so I was able to make sure I heated my water perfectly. This has a 1.2L capacity, which is more than enough for the coffee maker. I like how portable it is and the fact that it can be easily used over a gas camping stove too - will definitely make sure I pack it for camp in a couple of weeks...! 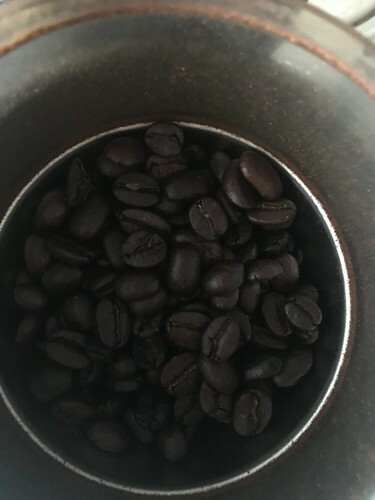 Once I ground my beans, I added the grounds into the filter section of the Pour Over Coffee Maker*. Again, the design on this is lovely, reminiscent to me of a science beaker, giving the illusion that coffee-making is a science, perhaps..? 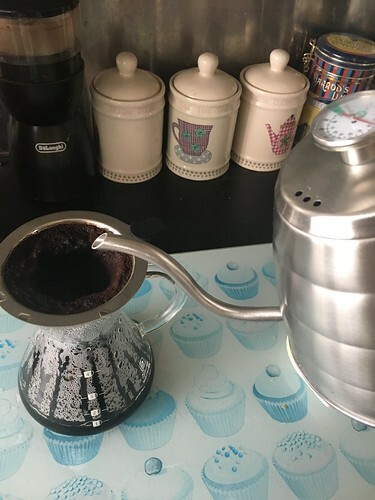 The long, narrow spout of the kettle makes precision pouring really easy, and you basically just pour the water over the grounds and allow them to filter through into the jug below. This really doesn't take long at all: a lot quicker than my usual French-press method, I think. And I like the fact that you could easily use the grounds again if you wanted another cup (which I often do). 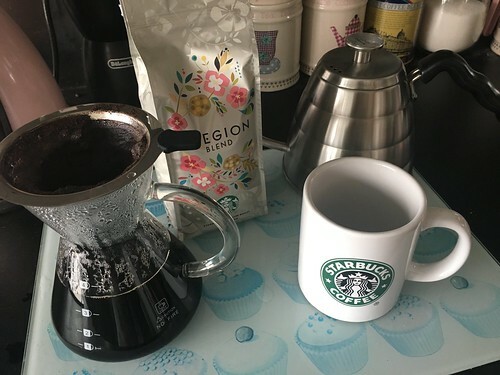 I was also pleased to finally try out the Starbucks coffee beans which I was gifted at a recent event at my local store. I have to admit, whilst I don't often buy coffee from Starbucks (I prefer to try and support the independent shops in town if I'm in the mood for a takeaway coffee), I was actually quite impressed by it. Much more flavoursome than I'd expected from what I understand to be their regular blend. What's your favourite coffee? And do you have any tips and tricks for the perfect cup..? Alas, I really dislike the stuff! I have retried it but I just find it bitter and cloying! I had a year in Bali of politely drinking sugar coffee that is brought to you when you visit someone by default, not after being asked, and I just never grew to like it. These products are super cute though! I bloody love coffee. We have a Dolce Gusto machine which has spoiled me but the first cup has to be drunk straight away which is a design flaw, but any for the next half hour are much hotter. total design flaw.